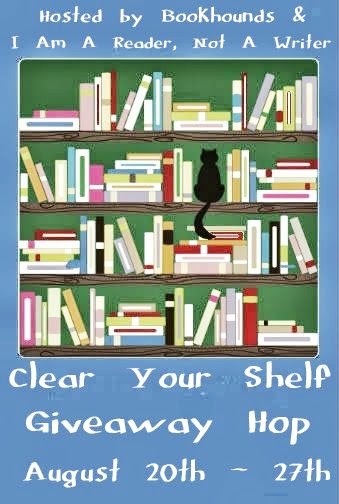 Welcome to the Clear Your Shelf giveaway hop! You have the chance to win one of the below books off my shelf. Just fill out the rafflecopter and you're entered to win. Second Star!! It sounds very good. Thank you for the giveaway! Maybe Paranormalcy, I've wanted to read that. Thanks for participating. We Were Liars for me! 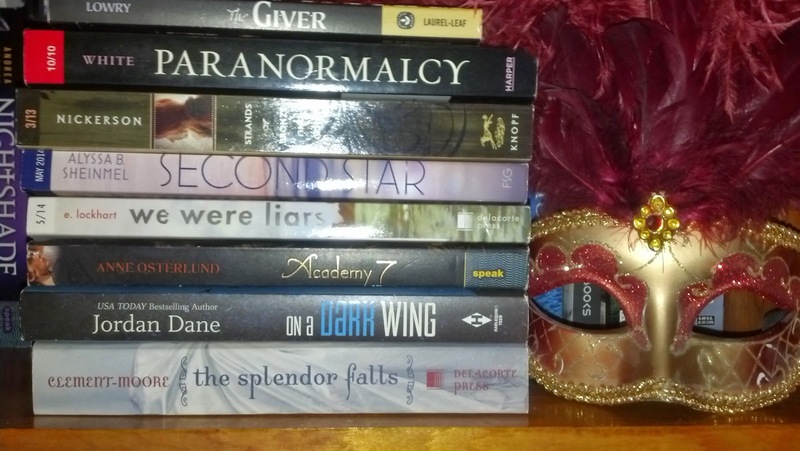 Thanks for this amazing giveaway - I would love to win and pick Paranormalcy or Academy 7! I think I would choose, Second Star, I have been wanting to read that one. Awesome giveaway! They all sound so good!! But I think I'll go with The Splendor Falls. Thank you for the chance!! Hmmm, I think I'd choose Strands of Bronze and Gold. Thanks for the awesome giveaway! The Giver, I haven't read it yet! The Giver! My children keep telling me to read it. I might choose The Splendor Falls if I won. Maybe Paranormalcy or The Splendor Falls? It's a tie between Second Star & We Were Liars. Thank you bunches! I would probably choose Academy 7 by Anne Osterlund. I would choose Strands of Bronze and Gold by Jane Nickerson I've been dying too get my hands on it for a long time now! thanks for the great giveaway! Second Star. :D Thank you! Maybe The Splendor Falls! Thanks! I would choose Academy 7. I would choose We were liars. Paranormalcy. Thanks for the giveaway! I would choose Academy 7. That one sounds good!! Thank you so much for a chance to win and for being a part of this fun and awesome blog hop!! I would definitely choose We Were Liars. I love E. Lockhart's writing, and I've been wanting to read that one for awhile now! Paranormalcy by Kiersten White looks real good. Def Strands of Bronze and Gold by Jane Nickerson!!! I'd pick Second Star. Thanks for the chance! Probably the Splendor Falls as I've been wanting to read it for awhile. I'd probably choose The Giver or We Were Liars! Thanks! It is a toss between We Are Liars and Paranormalcy. Thanks for the giveaway! I would pick Strands of Bronze and Gold. Thanks for the giveaway! I have my eye on Academy 7! I think I would choose We Were Liars. Thank you for the chance to win! I would choose The Splendor Falls. Thanks for the giveaway! Maybe the Giver, but don't hold me to that. I'd pick Strands of Bronze and Gold. I would pick We Were Liars. I've heard so many good things about it! Possibly The Giver. I am curious about it and my husband wants to read it too. But then again, our library has it so idk for sure. Thanks! I would probably choose The Splendor Falls! Thanks for the great giveaway! Paranormalcy or second star. Thanks for the giveaway! Maybe Second Star? Thanks for the giveaway! If I won I would choose Paranormalcy by Kiersten White. I would probably pick Paranormalcy by Kiersten White! I think I would want Strands of Bronze and Gold by Jane Nickerson. Thank you!